Little destroys a political party’s or a company’s hopes faster than the loss of trust in the leader; think Trump, Turnbull, Narev (Commonwealth Bank). We can learn a lot from watching politicians and high-flying execs. It’s the same with the rest of us. As a high-quality CEO building trust in your company or a product, we maintain that these days you also have to build trust in yourself. Why? People need to hear, see and assess the boss. The trouble is, too often we are disappointed. And it’s not that there are more disappointing politicians or CEOs, we are simply more aware of them. Part of this change is caused by the globalisation of media, we can see what’s happening in so many formerly hidden corners of the globe. Part is because of an increasingly critical media in its desperate hunt for circulation, with its commentators too often advancing little-thought-through and sensational opinions. There is competitive pressure on commentators, especially on TV, to ‘perform’. And part is increasingly cynical consumers – us. We are now more suspicious and on the lookout for faults; a result of the constant bombardment with negative information, a lot from obscure irrelevant corners of the globe. And those drivers, the media and our cynicism, feed off each other: as we become more cynical we look to the media for further evidence to reinforce our suspicions. The media obliges with yet more bad news, making us even more convinced that the world is going to hell in a hand-basket. It’s hard to see how that negative feedback cycle will be broken. Trust is now such a fragile commodity that even talking about it engenders distrust – the question “Can we trust the banks?” inspires the opposite. The latest allegations of fraud and money laundering at the Commonwealth Bank suggests a devastating lack of governance, succinctly explained by Ian Verrender on 7:30. The bank has been accused of breaches of anti-money laundering and terrorism financing laws that could leave it exposed to massive civil penalties. The Australian Transaction Reports and Analysis Centre (AUSTRAC) alleges that 53,700 transactions that should have been reported to it were not. 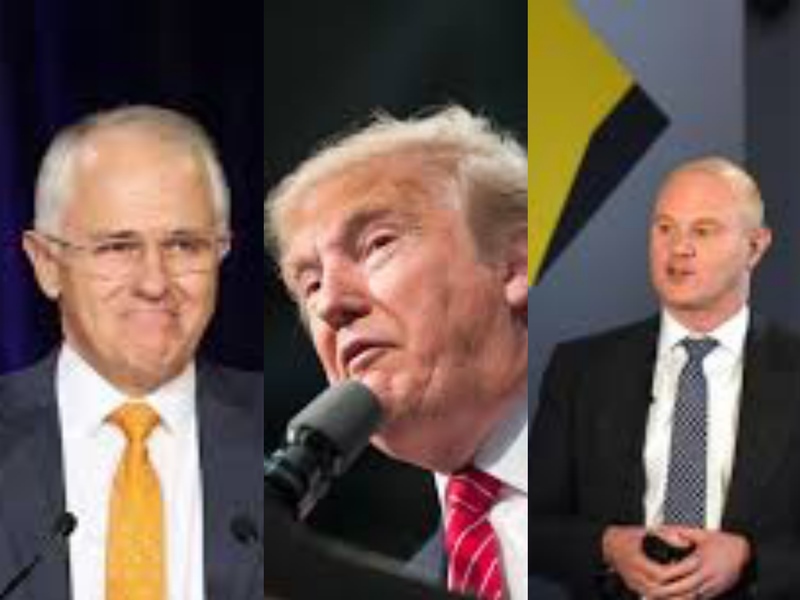 · a serious loss of face for royal commission denier, Malcolm Turnbull. Hence we argue to our clients that as good quality CEOs, we have to constantly feed the trust-meter. Good leaders must constantly talk about their vision, strong values and behaviours, building trust slowly, constantly and consistently. And if you are an unknown, your trust-meter is still on zero. Hence we say, there is no place today for the leader who is a quiet achiever – that CEO is courting disaster. It used to be that communicating with your stakeholders was hard as there were limited options. Now there is a variety of outlets, accessible and cheap. Thank you digital and social media, and the algorithms that encourage fresh content and relatively inexpensive, targeted advertising. More good news! Media training is now a refined art. As coaches, we look to your vision, strong values and behaviours – and despite what you hear and read, most leaders are good quality people (it’s how they rose to the top). Media training simply gives you a variety of techniques to display those qualities. While the best spokespeople are still those folks who really enjoy it and for whom spruiking comes naturally, for the rest of us, it’s an easily-won skill. There are simple techniques designed to help people communicate concisely and accurately – to say what they mean. Yes, it can be misused to deceive, but for most people it’s an upskill to turn personal integrity into public credibility. When I was a TV journalist we used to rate the people we interviewed: he’s bad talent (can’t communicate skilfully); she’s great talent (makes communicating look easy, articulating clear messages and being able to argue a case). The other piece in the puzzle is your ‘story’. And this too is good news. With the explosion in communication experts there is now a sophisticated understanding of the importance of brand and of narrative – your ‘story’ told in a manner that is believable and worthy of people’s trust. Hence the almost universal understanding of the term ‘key messages’ – phrases crafted to you say what you mean as concisely and convincingly as possible. Strangely, it’s a secondary consideration that people agree with you; of primary importance is that the audience believes that you believe in what you are saying – an appreciation of your values and behaviours. This is where two-faced politicians fail – constantly in the spotlight, but disingenuously spruiking a party line instead of a personal belief. As I wrote at the beginning, we learn a lot from watching politicians. Next PostLeadership: Racing to stay ahead of consumer demands: winners, losers.